If one vampire bit one person and they turned into a vampire, how long would it take before the whole world filled up with vampires? How much snot do you drink in a year? If you unravelled a mummy, how long would the bandage be? And much more! 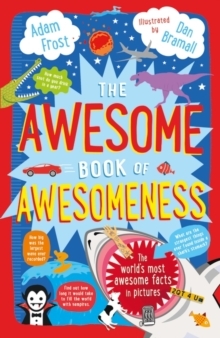 Pick up this book to fill your mind with funny, weird, random and above all, AWESOME facts. Prepare for another EPIC book from the winner of the Blue Peter Book Award 2016 - Best Book with Facts.